This April is going to be all My Little Pony all the time, as I present my research on the fractured MLP:FIM fandom over the Equestria Girls movie. A long time ago — a year before the movie was released — I started looking into the fandom and the phenomenon of bronies. This post originally appeared over at Clearance Bin Review but it is worth reposting here given the focus of my upcoming research, which I will also discuss here. He’s traveled around the world. He’s eaten things that would make any non-foodie American squeamish at best and vomiting at worst. He nearly killed himself riding an ATV on a New Zealand sand dune. He has no reservations about speaking his mind on any topic, food related or not. He is Anthony Bourdain, and he’s a brony. In case you have not heard, a “brony” — which is short for “bro pony” — is a self-applied term for those who belong to a particular fandom for a particular television show. While there are those who say it applies to any fan of that show, it is commonly used to describe fans who, at the outset, do not appear to be the likely target audience for the show. 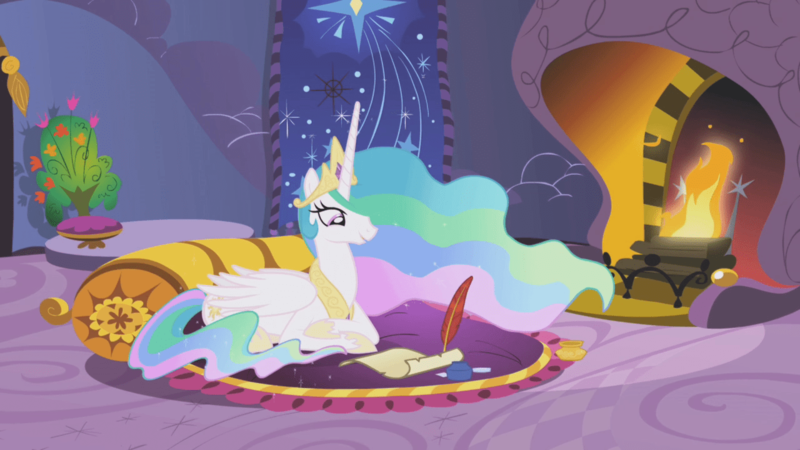 The show in question is a renewal of a 1980s children’s cartoon and toy franchise: My Little Pony: Friendship is Magic. And the fans that you would not expect to be the target audience for a cartoon about horses, unicorns and pegasi are grown men. So who are these men, and why are they such huge fans of a “girlie cartoon”? Fast forward three decades. The influence of Japanese anime can be felt across the world of children’s programming. He-Man and Thundercats have made a comeback in cartoons, or “animated series” as they prefer to be known now. G.I. Joe and Transformers have been relaunched as successful film franchises (although “success” may be a subjective term). The “girlie cartoons” of the ’80s haven’t fared as well: Strawberry Shortcake and Care Bears did come back, airing very early Saturday mornings on CBS’ Kewlopolis block. She-Ra, He-Man’s cousin, is MIA, as are Rainbow Brite and the rocker Jem. But what has come back with some strength is My Little Pony, and its strength lies in the fact that it is not that ’80s show. Yes, the colors are still warm and pastel. Yes, the main characters are all fillies, with few stallions as named characters. Yes, the themes all focus on friendship. And because of all of these traits, some have labeled the show as a ‘girlie cartoon’ and decided it is only meant to be watched by girls under the age of 16. This labeling has lead to misunderstandings, confusion, and outright slander about the older people, especially the men, who not only watch the show but enjoy it so much that they engage in the range of online activities that fans these days are prone to do. These are the bronies. You will find evidence of their love for all things ponies all across the internets, doing the types of things fans do. They are making fanvids. They are initiating and spreading memes. They are making fanart. They are organizing conventions. They are a community, discussing and sharing their affection for a show to each other and to anyone who shows an honest interest in the show. And they are even organizing to uphold some of the ideals of the series through their attempts to do some good in this world. Bronies for Good is an organization of My Little Pony fans who want to be forces for good in our world just as the main characters are forces for good in theirs. I interviewed some of their staff members via email to get their take on the brony phenomenon, and how people have responded to it. There are those critics who decry bronies for being the opposite of what true manly men are supposed to be in American society. Luckily, and within the same webpage, there are those who push back against such criticism, saying that the ideals of friendship espoused in the show should be something everyone follows, whether male or female. What was interesting is that when I asked the members of Bronies for Good how they see bronies and their critics, the issue of gender and gender appropriateness never really came up. For the male fans of the show, the fans do not focus on the characteristics that critics see when they identify it as a “girlie cartoon”. Or if they do see these characteristics, they do not identify them as being “girlie” but as being something everyone should attend to, learn, live by. The fact that a group of such fans have come together to form a network to encourage social awareness and activism is evidence that the fans are seeing human universals in the themes of the series. This overlooking of the “girlie” aspect of the show is what differentiates these men from those I interviewed several years back for my dissertation. Those men recalled watching the original My Little Pony and similar cartoons of the ’80s, and clearly denounced them for being “girlie cartoons” that they could not relate to in any way, shape or form. One interviewee, recalling his childhood, derided it for being all about “touchy feely” and handling conflicts without violence, which wasn’t something he was used to. Indeed, he felt that if you talked about your feelings to other people, you’d get teased and hit for being too girlie — a black mark for a young boy. So what has changed in those three decades? Part of the change is how much American society has changed in allowing boys and men to be more open with their feelings, for embracing qualities that have consistently been labeled as feminine. We have become more willing to allow the men in our lives to be more open about who they are and what they want to be. There has been more focus on the issue of bullying. There have been more complex portrayals of masculinity in the media, with even James Bond becoming more than what he had been. Sure, there has been push back, and Hollywood and marketing executives don’t know how to respond to these changes. And yet there are changes, with a men’s revolution being more low key and private than the women’s revolution that preceded it. But as with the revolution that preceded it, we are seeing a revolution in promoting the idea that men can be whatever they want, even if it defies centuries of tradition about what constitutes the masculine ideal. And then there was the PowerPuff Girls. It was created at the turn of the century, as part of the Cartoon Network’s new Friday night block. The cartoon featured three super-powered little girls with names like Buttercup, Bubbles, and Blossom, and had many of the elements people associate with the girlie cartoons of the past. Namely, the main characters and the colors. Thus, on the surface, it may appear to be meant solely for a female audience. But that is only the surface. Underneath, there was sharp writing, action, adventure, battles, humor, and Mojo Jojo. The same type of knee-jerk reaction is seen with My Little Pony: Friendship is Magic; those who have not seen an actual episode have only the surface to base their judgments on. And on the surface are the fillies and the colors. But when you look deeper you see the characterization, the writing, the humor. PowerPuff Girls had a male fan following; and there is a link between the two shows. Lauren Faust served as a writer and director on PowerPuff Girls. She is responsible for developing the relaunch of My Little Pony, which she has said she intended to be a family show. Faust serves as a bridge between the two shows, and seeing her with the ponies may have helped the PowerPuff fans feel more comfortable following her into the new show. And there may be another way that men are feeling more comfortable with becoming fans of the show. As Patrick discussed, seeing the fan community that the bronies have been creating online helped him to realize that liking the show was acceptable for someone like him. Who knows, maybe there were men in the 1980s who liked the original My Little Pony. I know my younger brothers each had a figure — mostly so they could play with me (being the eldest does have privileges). But back in the 1980s, there was no Internet for people to find each other and share their interests; building a fan community was a harder thing to do, especially for younger people. Now with Web 2.0 and social media, it is far easier for people around the world to find like-minded individuals and engage in activities to build strong, supportive communities. The ability to build such communities may be particularly important for bronies. Here are people engaging with a television show that others think they should not be watching. But instead of being ridiculed on an individual level — on the playground or at the bar — where alone they may falter and feel embarrassed, together online they have strength in numbers. They know they are not alone, and that they do not have to feel alone or weird because of watching the show and engaging with it as any fan would. The community has allowed them to find friends, and these friendships can help them to support one another in times of uncertainty and against the bullies of the world. And that is, after all, the message of the show: friendship is magic, and you are always stronger when you are with your friends. Being a brony isn’t just about watching and liking the show, then. In a sense, it’s also about embodying these ideals, from being a part of Bronies for Good to just being a friend to others in the brony community. Indeed, I have read your post before, and have even bookmarked it for my research as an excellent breakdown of the series. Tell me, what did you think of Equestria Girls? I watched it last fall, and found it to be fun but weird at the same time: https://playingwithresearch.com/2013/09/16/equestria-girls-reaction-film/ My research is looking at MLPFIM fans’ reactions to this movie, so I would be curious to hear yours as well.